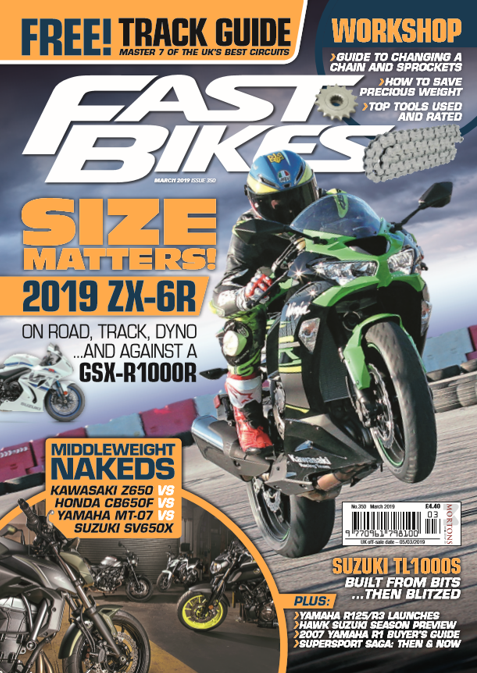 The biggest, toughest, fastest, most comprehensive sportsbike test on the planet. Can Triumph’s new steed take on the almighty Tuono? If you’re after some new rubber for fast road riding or trackdays, these new Pirellis might be just the ticket. Our guide to hiring a track bike for your first or your fiftieth trackday. Everything you need to know about buying a 2012-2015 Yamaha YZF-R1. When the summons arrives, don’t get court out. How to master the best of British circuits. This month: Donington Park. ECU flashing. What is it and why do we need to do it? Dean Ellison talks us through the best way to get ready for a trackday. It’s only fair we give the best readers in the world a page of their own! Rob Jarvis shows us his limited edition MV F3 800 TC. What’s been occurring with the famous five this month? We crashed Team York Suzuki’s pre-season test on Guy Martin’s classic racer. What we get up to when we’re not putting together the best mag in the world. Tom’s still watching Tim from the sidelines. Gaz has been busy loading up for the NW200. Will a broken hand scupper Iddon’s plans? 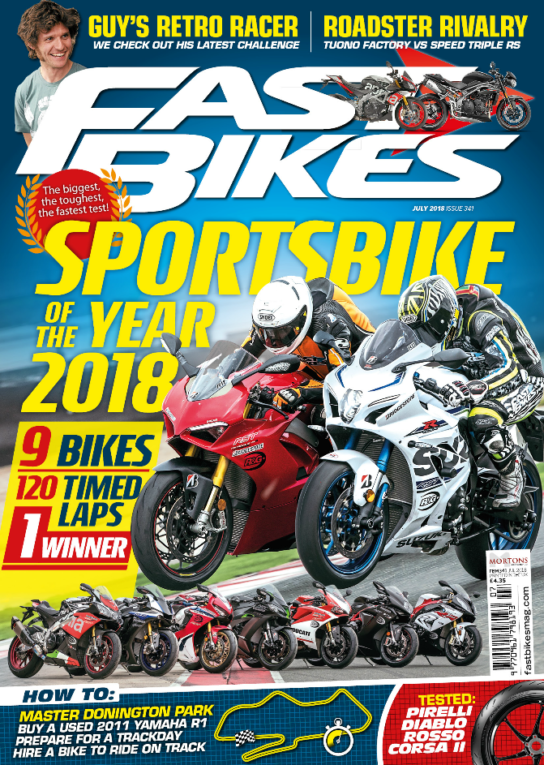 Next Post:Watch – Sportsbike Of The Year 2018 – Kawasaki ZX-10R SE – Dyno Run!